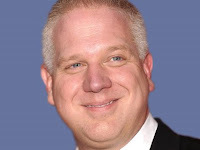 The Glenn Beck Review: "Christian" Beck hates Republicans, just as Jesus preached to his disciples? "Christian" Beck hates Republicans, just as Jesus preached to his disciples? "I don't care what people think of me," he claims, and later says "I hate to be called a fear-monger." Which is it? It often seems like Glenn Beck does listen to what Glenn Beck says. This is a man who claims to be a (Mormon) version of a "Christian." He "hates" Republicans. He "hates" Woodrow Wilson. Is this what Jesus taught 2,000 years ago, to hate people? On the other side of this story is his opinion that many on the left share. Beck is railing against a practice known as extraordinary rendition, and like a broken clock twice a day, he is on the right side of history on this issue for a change. Ghost planes -- we're picking people up in the middle of the night. We're saying talk to us or we're going to drop you off over in Egypt. That's insane. That's what causing all of these problems is we are sitting here looking at -- picking people up and expecting them, when we march in, to say 'oh, the Americans are here. The Americans just put him on a ghost plane and now he's in the prison with Mubarak's people torturing him.' They don't understand that. We don't stand for anything. It seems strange to hear Beck declaring anything "insane," when many people consider him to be just that. (He's not so much.) It also seems like he could have expressed this dissent in a more Christian manner rather than the hate-mongering that he has been demonstrating over the last 30 months. Sometimes it seems that Beck's reactionary followers support him because of his expressed hatred and demonization of opponents, in particular the current President of the United States. It also seems strange to hear someone, who is as hypocritical as Glenn Beck has proven himself to be over the course of the last 14 months, say that "we don't stand for anything." Apparently, Glenn Beck is not very self-aware. He doesn't know seem to have a clue how often Glenn Beck says things that violate Beck's own stated principles. Before more people start tuning into Beck's hatred, get involved.